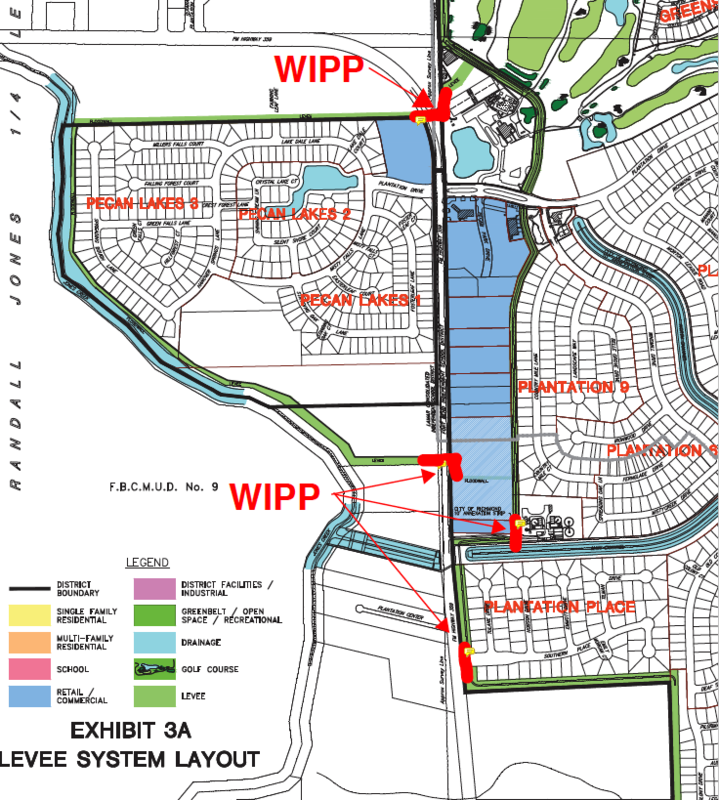 Please note the WIPP (water inflated property protection system) locations on the map. At this point we are monitoring the river level. EDP will choose to deploy or not to deploy the WIPP’s based on water level observations. Please check the back here on the website for updates. Contrary to reports on Facebook and other social media, The Pecan Grove MUD water system is working properly and the water is safe to drink. We have been successful at plugging the 48 inch pipe in the Oyster Creek area detention pond outside of the levee. This means that both the 60 inch pipe and the 48 inch pipe are plugged and all that is left is the 24 inch pipe. Divers from Saltwater Salvage are now working to close the remaining third pipe, which is 24 inches. This has been remarkable work by EDP and the dive team, working closely with your MUD directors to fix this breach. This plus the revised lower crest projections of the Brazos River are some needed good news. We will continue to post with updates. Rescuers are still out trying to help evacuate people from flooded homes in Pecan Grove. 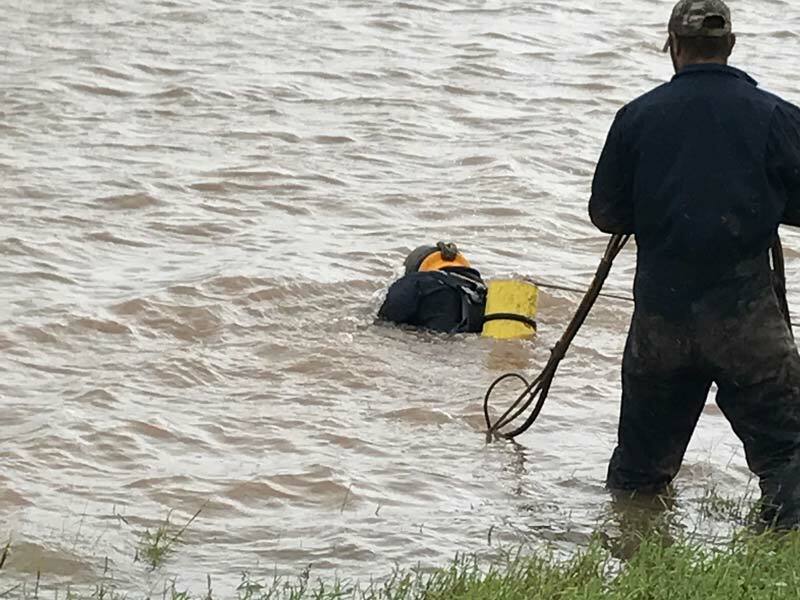 The 3rd plug in the detention pond outside the levee that was allowing oyster creek floodwater into our Pecan Grove drainage system has been placed! All inlets are installed and plugged. Water should start receding quicker now. 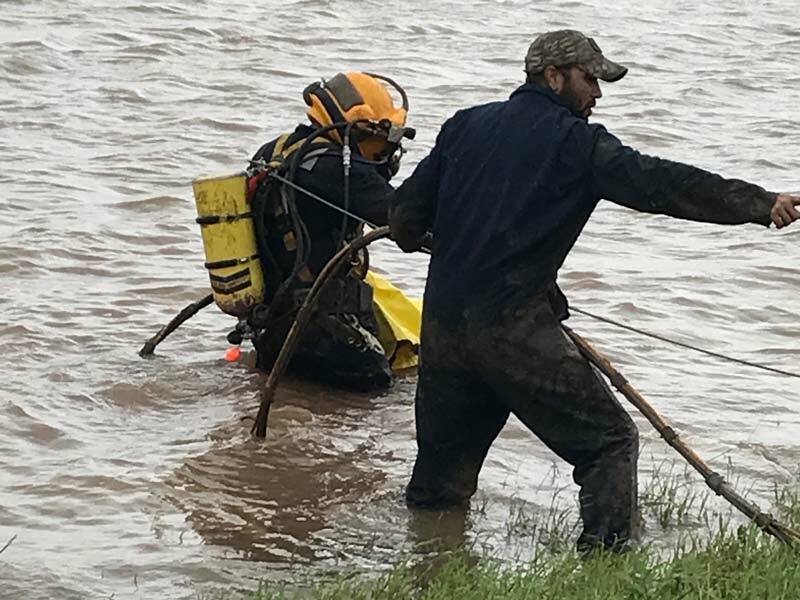 Congratulations to EDP, the MUD directors who personally pitched in, and divers from Salt Water Salvage who braved flooded roads to reach Pecan Grove!